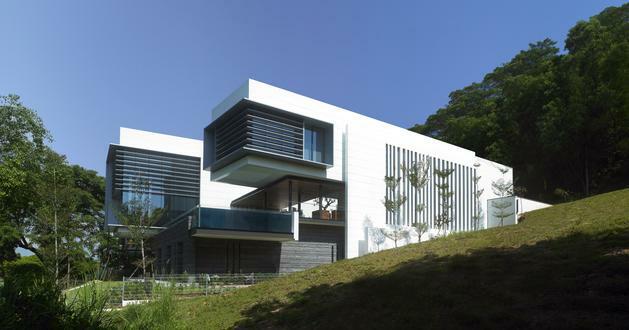 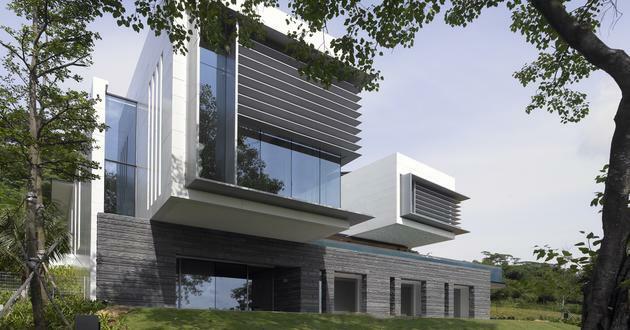 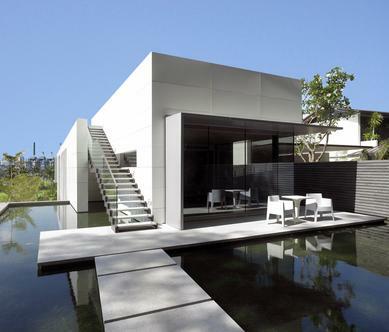 Located at the highest hillside parcel overlooking the nearby Golf Course and the port shoreline, Lakeshore View House addresses the potential of a sloping site using a composition of volumes that addresses the Owner’s brief whilst creating a flow of formal and informal interconnected spaces. 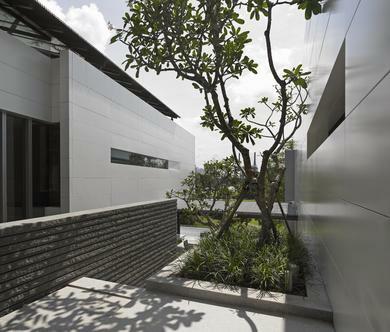 Fit within the contours of the site, the house is viewed modestly from arrival, creating a sense of expectation upon approach. 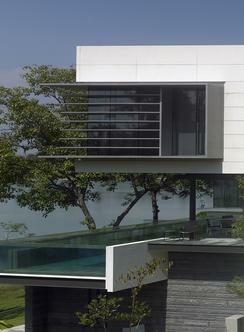 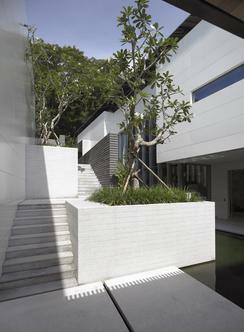 A series of terraced watercourts unifies space through the heart of the building on its central axis, flowing from a quiet reflective pond on the upper levels down through stepped landscaping to drop further to the poolside level where a panoramic viewing deck lines the length of a cantilevered acrylic edged swimming pool.